Wexler Packaging Products, Inc. is excited to announce that the company will be returning to Boston, MA as a featured exhibitor at the 2015 New England Food Show. The show will take place at the Boston Convention & Expo Center, March 15–17. Exhibiting in Booth #3018, Wexler will showcase a variety of alternative, “green” solutions for the food industry, ranging from automated banding machines to Linerless Labeling Systems. 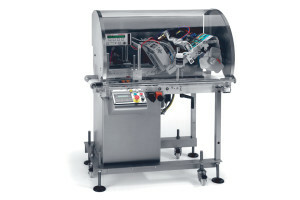 Featured equipment on display will include Ravenwood’s Nobac 500 Linerless Labeling System (sleever). Ideal for retailers and packers, this versatile system is specifically designed for maximum flexibility and rapid changeover. The Nobac 500 sleeving application is available in six formats (top, top & side, top & two sides, C-wrap, full wrap and removable sleeve), and both fixed and variable weight modes. A thermal transfer overprinter can also be fitted to this system for printing at the point of application.  Wexler booth attendees will also have the chance to witness “Branding with Banding” live on the ATS US-2000 AD. Using preprinted material, this automatic banding system brands and bands simultaneously, making it an excellent tool for marketing at the retail level. As an added benefit this year, visitors to Booth #1581 at the conjointly held Seafood Expo will have the opportunity to see a rollstock Multivac machine “in-action” as it forms and seals trays before entering the Nobac 500 for labeling. As always, Wexler’s team of experts will be on hand to offer assistance and answer questions. Wexler will also be offering an exclusive discount for any machines purchased during the New England Food Show.